GLASGOW. Earlier today I joined a gathering in Glasgow University Chapel that included the Astronomer Royal of Scotland, Professor John Brown, and cosmologist Bernard J. Carr, professor of mathematics and astronomy at Queen Mary, University of London. After a difficult childhood, including spending two of his teenage years hospitalised with tuberculosis, Archie developed a passion for space travel and exploration. In a tribute to his father, one of his three sons, Ian, revealed to the congregation that he had found declarations in Archie’s early diary entries that “astronautics is my life” and it was “the goal I have set myself”. So it was fitting that in 1986 he even had an asteroid – 5806 Archieroy – named after him. As Scotland’s Astronomer Royal explained, Archie was a profound thinker who was “pushing at the boundaries of ideas” throughout his life. This was particularly true of his keen interest in psychical research. He once explained in an interview how he had stumbled on psychical research accidentally. He became an indefatigable investigator of the paranormal; sitting with mediums, encountering poltergeists and analysing reports of hauntings. The Scottish media often referred to him as a “ghost-buster”, which greatly amused him and his family. Typically, Archie never hid his interest in psychical research – quite the opposite. He happily discussed his research during regular contributions to BBC Scotland’s radio and TV programmes. 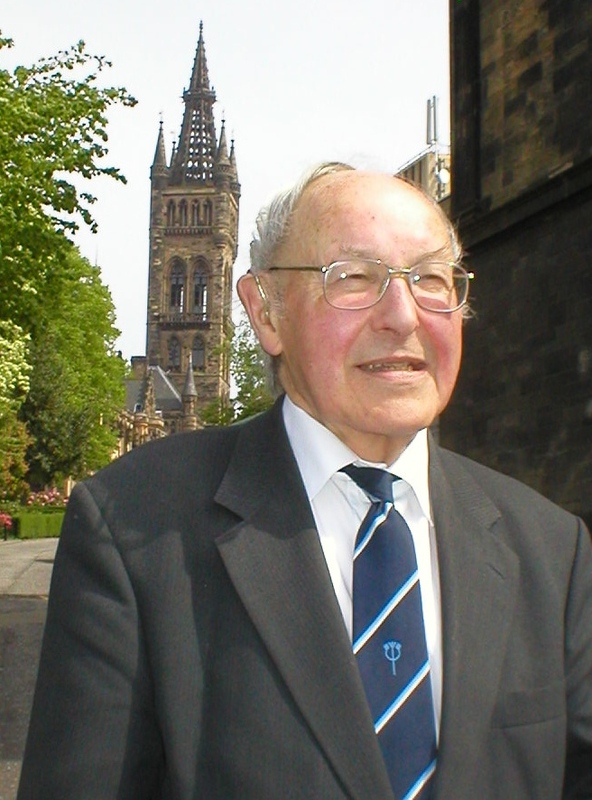 The founder president of the Scottish Society for Psychical Research, which came into being in 1987, Archie continued as honorary president until his passing. He was also president of the Society for Psychical Research (SPR) – from 1993 to 1995 – a position, incidentally, also held by cosmologist Bernard Carr who, as already mentioned, was among those at the memorial service. The SPR was formed 105 years earlier than Archie’s Scottish society by, among others, one of his heroes – Frederic H. Myers, author of the two-volume Human Personality and its Survival of Death (1903). Whilst many of his colleagues may not have shared Archie’s interest in or enthusiasm for the paranormal, his impressive academic credentials left them in no doubt that he would treat the subject with the same scientific rigour as archeo-astronomy, rocket propulsion and celestial mechanics. For those who chose not to accept the evidence that has accumulated over more than a century, Archie Roy – writing in Archives of the Mind – was adamant: dismissing this “Cinderella science” in general terms was not acceptable. Sceptics or critics, he said, could only do so by “pointing out in detail enough flaws in the evidence to vitiate the case or by demonstrating unjustified deductions made by the investigator”. For Colin Wilson, who wrote the Preface to Archie’s book, it was “one of the most powerful and convincing books on the paranormal that has been written since Myers”. So it must have been a particular highlight when, in 2004, Archie was awarded the SPR’s Myers Memorial Medal, in recognition of his outstanding contributions to psychical research. Thousands of students benefitted from his teaching skills for the best part of 60 years, and for half that period he also taught psychical research as an extra-mural subject, assisted for much of that time by fellow psychical researcher Patricia Robertson. Together, they also embarked with others on an impressive study of mediumship. Named PRISM (Psychical Research Involving Selected Mediums) it involved collaboration between Spiritualists and scientists, the results of which were published over three issues of the SPR’s Journal. These triple blind – and sometimes quadruple blind – experiments brought impressive results. Designed to ensure that the medium was receiving neither visual nor auditory clues from sitters, and checked against control samples, their statistical analyses put the odds against chance at a million to one. I’m not sure what the odds were when Archie went into a William Hill betting shop in 1964 and placed a £20 bet on man landing on the moon by 1977 but it paid off handsomely. He collected £1,200 in winnings when the first Apollo astronauts set foot on the lunar surface in 1969. “But he was equally as proud of both his achievements within academia and astronomy as well as his innovative work looking for scientific evidence of the paranormal. 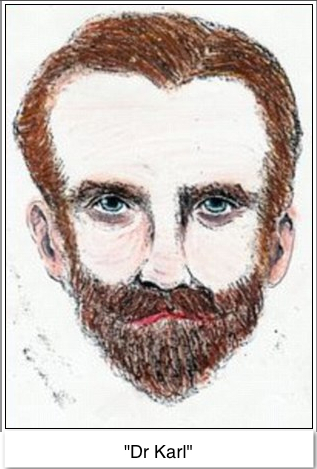 Proof of this is to be found in the 20 books he authored, ranging from academic textbooks to thrillers. His six works of fiction, usually with paranormal themes, included Deadlight (1968), The Dark Host (1976) and Devil in the Darkness (1978). Archie’s non-fiction, on the other hand, ranged from The Dynamics of Small Bodies in the Solar System: a Major Key to Solar Systems Studies (edited with Bonnie A. Stevens, 1998) and the Oxford Illustrated Encyclopedia of the Universe (ed., 1992), to three books on the paranormal that should be required reading for anyone intending to become (or claiming to be) a psychical researcher. They are: A Sense of Something Strange, Investigation Into The Paranormal (1992), Archives of the Mind (1996) and The Eager Dead (2008), which explores the evidence of the famous mediumistic cross-correspondence messages. I had many enjoyable encounters with Archie in his home city, Glasgow, over the years as well as participating in an SPR Study Day in London at which we were both contributors. He was great company, a gifted storyteller, and his encyclopedic knowledge of psychical research and mediumship was astonishing. Archibald Edminston Roy passed away on 27th December and is survived by his wife Frances and three sons, David, Archie and Ian. Reincarnation: the joke’s on me! Work on a time-consuming project coupled with a lot of travelling has meant that I’ve not had the time to post a blog for several weeks. Which is a pity, since there’s no shortage of paranormal news about which I’d like to comment. Hopefully, I’ll catch up with some of these stories early in 2013. 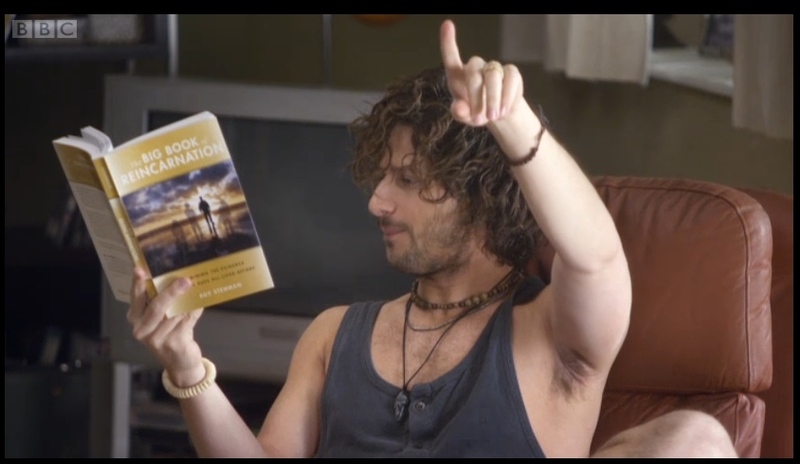 The big event for me in 2012 was publication of The Big Book of Reincarnation and the biggest surprise was to see it featured on a TV comedy programme. It turned up in an episode of BBC Three’s “Cuckoo”, a very funny six-part series, set in the Midlands and featuring an American and a British comedy star – Andy Samberg and Greg Davies, respectively. I was out of the country when it was first screened in October and returned to find emails and text messages from friends and family who were amazed and delighted to see the main character, Cuckoo, a self-appointed “spiritual ninja”, reading my book. I was able to catch the programme on BBC iPlayer and was delighted not only to see my book featured but also to find that its very amusing exploration of reincarnation perfectly illustrated the prejudices and gullibility surrounding the subject. BBC Three is now rescreening the series and the reincarnation episode, No. 4, titled “Grandfather’s cat”, will be shown this Friday (5 January) at 21:00, and again in the early hours (01:30) of Saturday morning. If you can’t catch it then, you’ll find it on BBC iPlayer, which I believe is restricted to UK viewers. But with Andy Samberg as the star, I’d be surprised if it doesn’t soon get seen in the USA and elsewhere in the world. I hope so. Well, this is being written in the closing hours of 2012 (during which, of course, the world didn’t come to an end), so I wish you all a very Happy New Year and hope that 2013 is good to you. Category Reincarnation	|	Permalink | Comments Off on Reincarnation: the joke’s on me! Usually, my Blog confines itself to the paranormal, which offers a very broad spectrum of subjects for comment. Today, I’m making a departure from that rule to say a few words about the London Paralympics 2012. London did a wonderful job of hosting the Olympic Games and soon, after a short respite, its venues will welcome disabled sportsmen and women from around the world. It promises to be an inspiring event, showcasing not only the individual and team skills of those whose bodies are not “fully abled”, but also the tremendous courage and determination they display in achieving their goals and overcoming their handicaps. The Paralympics (29 August to 9 September) will, like the Olympics, be a sell-out and will attract able-bodied and disabled spectators alike, eager to cheer on their heroes and draw inspiration from their achievements. So it came as a surprise – even a shock – to me to learn that Locog (the London Organising Committe of the Olympic Games) has a ticketing policy, as far as spectators in wheelchairs are concerned, for which the only word that adequately describes it is “discriminatory”. Wheelchair users can only be accompanied by one person. Imagine a family of four, one of whom is in a wheelchair, wanting to cheer on a basketball team. Two will be seated in one area, whilst the other two (one in a wheelchair) have to be seated elsewhere. Where’s the fun in that? Where’s the family spirit? And what message does that send to a wheelchair-bound child in a world that is supposed to be inclusive and non-discriminatory? Beth Davis-Hofbauer (pictured) is a wheelchair user and mother of a four-year-old autistic son and a 19-month-old daughter who finds herself in that position. Rather than accept it, she decided to harness people power and has started a petition which has already received 34,000 signatures (including mine). As a result, Locog is taking notice and has already relented to the extent of agreeing that people in wheelchairs can sit together with their families, but they will have to wait until the day of their chosen events to learn where they will be seated. In other words, unlike able-bodied spectators, they will not receive confirmed seats in advance. Understandably, for most families with a disabled, wheelchair-bound member, that arrangement is not good enough. Most will have concerns, which may prove correct, that when they present themselves at a venue they will be informed, despite the promise, that there’s nowhere for them to sit together. So, a few more signatures on the petition might produce the desired result. Beth is hoping to get 50,000 or more. 100,000 would be even better. It’s a pity that the organisers hadn’t anticipated and solved this problem well in advance. 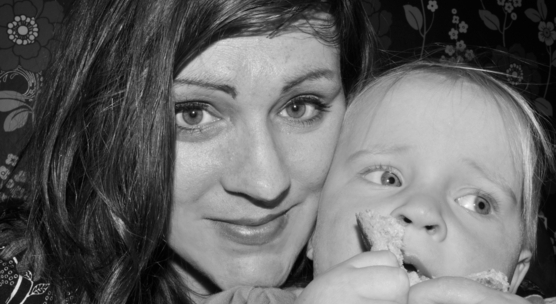 To read Beth’s story and sign the petition, click here. And if you have a Facebook or Twitter account, why not share her request with others? An English medium and healer, living in Denmark, has stabbed his four-year-old twin daughters multiple times and then stabbed himself, in a locked hospital room in Copenhagen. He then thrown himself from a window. Bishop was based in Swindon, Wiltshire, UK, before moving to Denmark in 2000. 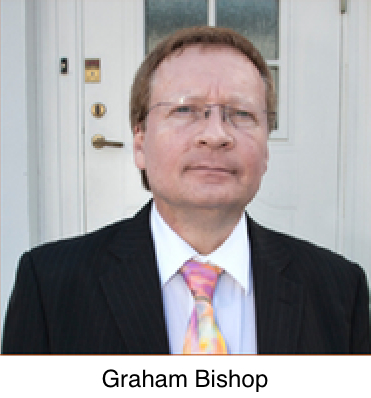 Graham Bishop, 58, says he has provided spiritual guidance to thousands of people and claims to have been a tutor at the Arthur Findlay College in Essex. During healing sessions and seances to “clear” property of “spiritual disturbances”, he says the spirit of a German doctor, Dr Karl, controls him. According to the Copenhagen Post, Bishop – who has appeared on reality shows on Danish TV – is being held in Rigshospitalet, the same hospital where his daughters are being treated. Police say he stabbed himself in the stomach with a kitchen knife after the attack on his daughters, on Sunday afternoon. The twin girls were in a critical condition in intensive care but are said to be improving. Bishop survived his self-inflicted wound and the fall from a window at Denmark’s largest hospital. He and his daughters are all on respirators at Rigshospitalet. Because of his condition, Bishop was not present at a hearing on Monday when a court ordered him to be held for at least 24 days. He says that Dr Karl was born in 1848 into a family of doctors in Prussia (now part of Germany) and showed an early interest in medical matters, performing his first unofficial “operation” at the age of 12. But he does not provide further information about his “spirit guide” that would confirm his previous existence. 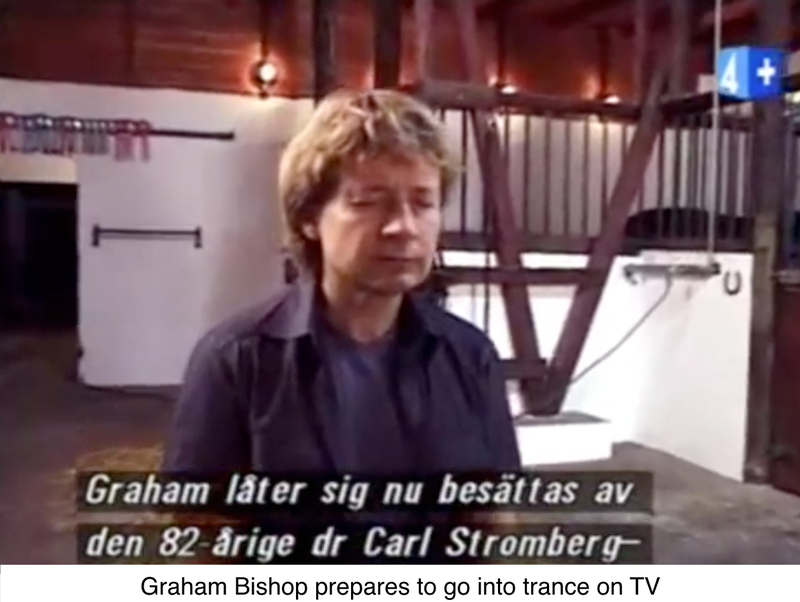 In a filmed “house clearing” seance for Danish TV, showing Bishop going into trance in 2003, the spirit doctor is identified as “Dr Carl Stromberg”. One wonders why Dr Karl does not have a European accent. 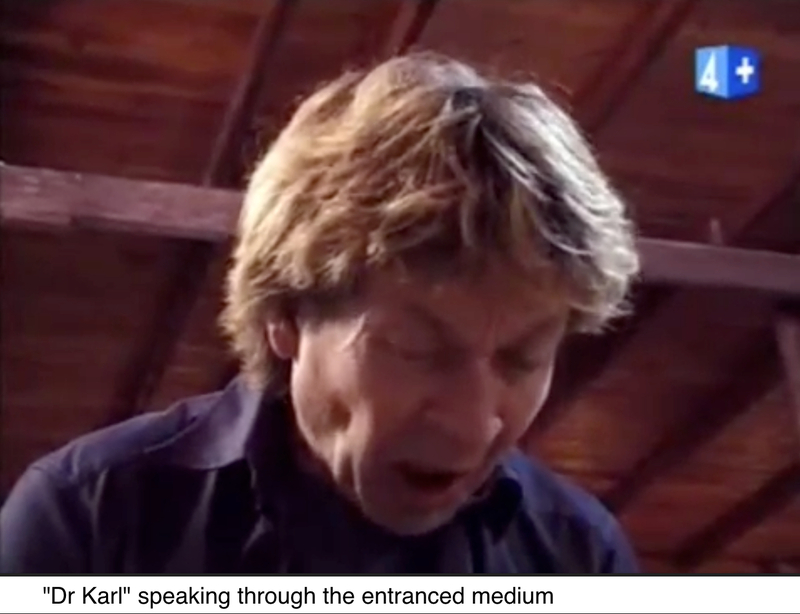 The TV show is largely in Danish, but because Bishop’s knowledge of the language is apparently limited – as is his spirit doctor’s – his extensive contribution to the programme is conducted in English, with Danish subtitles. One of the injured twins, Natalie, was found to have a massive aneurism on her aorta on the day after her first birthday was celebrated in June 2009. Doctors in Denmark said it was too dangerous to treat and referred her to Great Ormond Street Hospital for Children, which agreed to treat her. “It was soon discovered that she had suffered brain damage, totally losing her sight and being paralysed on her left side. After no improvement with these, I asked Spirit for help, even though it was a risk to my own life (I was in a very bad state of health myself), but what father would not do that for his child? I went into trance and Spirit Dr Karl was able to restore her sight and correct the paralysis, unfortunately he was not able to repair the kidney. The only hope of saving his daughter’s life was finding a suitable “living donor”. Neither he nor his wife were compatible but a suitably matching volunteer came forward and the last news on the website was that the family was waiting for a date to take Natalie to London for final checks before a kidney transplant could be given. Bishop also reveals that he had to stop work in September 2008, three months after his twin daughters were born, due to overwork and exhaustion. “I loved my work so much and had such a deep desire to use my abilities in helping as many people as possible, that I forgot about my own body,” he explained a few months ago. This resulted in three years of “wasted possibilities” but he was now “able to begin the slow process of building my work back up” though it would be “more difficult this time, as I do not have help of those who used to assist me so competently”. It is too early to say whether his daughter’s health problems or his work difficulties were in any way involved in the attacks. One Danish newspaper speculated that his wife, who is in her 20s, had told him she wanted to leave him and take the children with her. 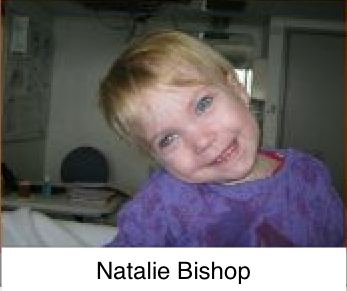 Mrs Bishop alerted the police after her husband locked himself in the hospital room with his daughters. They had to kick the door down to gain access. Out of respect for his family and because this tragic event will be the subject of a future court appearance I am not allowing comments to be made. Fifty years after her death, on 5th August, 1962, there are some people who still cannot get enough of Marilyn Monroe. Well, I have good news for them. She is alive and well … having reincarnated. Not once. Not twice. But at least three times, according to various claims that have been made in recent years, the most recent of which has just surfaced in Israel. Born Norma Jean Morteson in 1926, the Hollywood bombshell who mesmerised presidents, novelists and millions of others, lives on in films like Gentlemen Prefer Blondes, Niagara and Some Like It Hot. Many believe that her tragic death at the age of 36 was neither suicide nor an accidental overdose, but murder. So, it would be enlightening if she has been reborn and can provide new evidence about the circumstances of her dying moment in that past life. But with more than one reborn Marilyn being claimed, disillusionment is the more likely outcome. Scottish-born singer Sherrie Lea Laird, who now lives in Canada, made the same claim several years ago, based on her own apparent memories and a series of past-life hypnotic regressions conducted by Dr Adrian Finkelstein in the United States. The story is told in Marilyn Monroe Returns: The Healing of a Soul. In this life, Sherrie – who was born nine months after Marilyn died – has had success as a recording star. Her recording of No Ordinary Love was a No. 1 hit in Canada and Europe. But she also felt suicidal at times and was convinced she had lived before. It was only under hypnosis that she claimed to be Marilyn (see excerpt from BBC documentary). This is a story I am familiar with, and which I included in The Big Book of Reincarnation. Another claim to be Marilyn reborn came from a Hungarian model named Zsuzsanna in 1999. A number of people remarked on how much she looked like the Hollywood actress and various publications featured her as Marilyn’s reincarnation. One headlined its story: “Marilyn is still alive”. It appears that she underwent hypnotic regression in 2005 during which she confirmed her past life as Marilyn Monroe. The story was told in her biography but Zsuzsanna’s website, on which an English translation appeared, is no longer accessible. 28-year-old Englishman, shop assistant Chris Vicens, is yet another reborn Marilyn. Having realised that the “I-am-Marilyn-reborn” folder on my hard disk was beginning to be a little over-populated, I was surprised to discover this week that it needs to make room for one more claimant. An Israeli named Dr Edith Daniel was featured in Times of Israel yesterday – the 50th anniversary of Marilyn’s death – because of her claim to be the reincarnation of the Hollywood star. The story was picked up from a Hebrew language interview she had done with the news site NRG.co.il, in which she spoke of her beliefs and shared some videos she had made which the Times described delicately as showing her “in an ecstatic state”. So convinced is she that, when she received her doctorate (in alternative medicine and homeopathic remedies), she adopted the names Marilyn was given at birth, and is now known as “Dr Norma Jean”. According to the Israeli newspaper, during these over-the-internet sessions, Edith revealed that Marilyn had been poisoned by secret agents, had an affair with a Chicago mobster, and had an abortion after being raped. Goldberg told NRG that the information wasn’t public knowledge and that they could confirm her claims only after many hours of research. I started watching some of these videoed sessions but soon gave up. If you have the time to watch a rather sad looking woman taking a very long time to respond to questions, you can begin here. In an effort to make sense of these claims, I emailed both Finkelstein and Goldberg, inviting them to comment. Finkelstein was quick to reply, having received similar requests from others. He sent me his comments which he has also posted on his website. Choosing his words carefully, he says: “In my long experience with past life regression, when done on Skype, it is grossly unreliable.” In his 15-point response, he goes on to conjecture that perhaps in a previous lifetime Edith Daniel was in Marilyn Monroe’s close entourage. If I receive a response from Bruce Goldberg, I will update this Blog. My search also took me to the web pages of Brianstalin whose “past life research” seems to involve tapping into the Akashic Records (a bit like cloud computing but without computers! ), a pendulum and the assistance of his spirit guides. Brianstalin lives in Thailand and when he’s not exploring the past lives of famous people he gives Reiki healing and conducts courses. Using his unusual research methods he claims to be able to throw some light on the reborn Marilyns, which I will now share with you – but you’ll need to pay attention. Apparently, in a previous life Marilyn was Maria Feodorovna who was married to Tsar Paul, who later reincarnated as Robert Kennedy. Among Maria’s daughters were the Grand Duchess Alexandra Pavlovna, who in this life is Sherrie Lea Laird, and the Grand Duchess Elena Pavlovna, who is now Sherrie’s daughter, Kezia, and Maria Pavlovna, who is now Zsuzsanna. So two of those who believe they were Marilyn Monroe do have past-life connections of some sort, but were not actually her, according to Brianstalin. Maria’s father, Friedrich II Eugene, Duke of Wüttemberg, he adds, reincarnated as playwright Arthur Miller who, of course, married Marilyn, his past-life daughter. And Gustav IV Adolf, King of Sweden, was betrothed to the Grand Duchess Alexandra in 1796 but the marriage was called off for religious reasons. Gustav was reborn as baseball star Joe diMaggio, Marilyn’s second husband. What does the story of Marilyn Monroe tell us? That you can’t take most past-life regressions at face value. However plausible they may sound, they should be treated as highly suspect. And the conjecture of “experts” using pendulums and the Akashic Records is likely to add to our confusion. 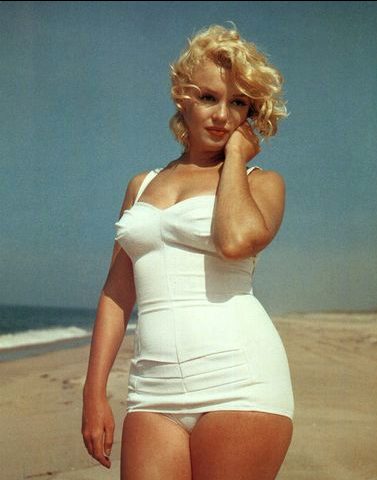 Besides, for me, there will only ever be one Marilyn Monroe … regardless of who or where she is today.